When I first started becoming interested in pearls I was bewildered by the variety of shapes, sizes and colours that I found myself looking at. Surely, I thought, a pearl is a pearl? They are round, prohibitively expensive, white or cream, or, if you are very lucky, pale pink. Black pearls were a myth, weren’t they – the objects of legend but out of the reach of ordinary mortals like myself if they existed at all, a bit like black roses and carnations? 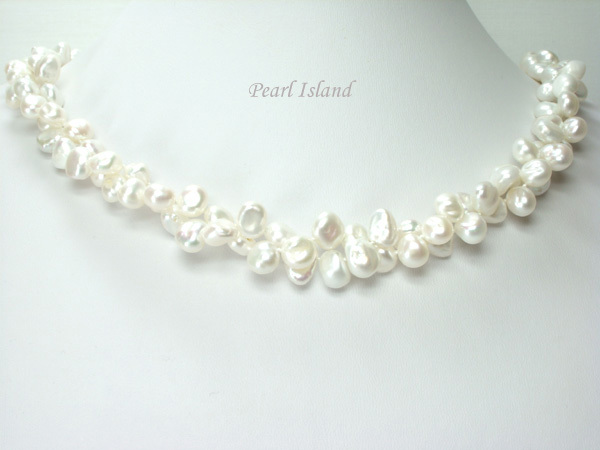 Keshi pearls, Biwa, nucleated pearls, non-nucleated pearls, freshwater or saltwater pearls – the more I looked into the subject the more fascinated I became and the more my head spun with the volume of information I was finding. What, for example, are Basra pearls? Akoya? Abalone? Baroque pearls – why “Baroque”? I thought that was a period of history associated with a particular type of decorative art! Blister pearls – are these the same as Mabé pearls? I once had a friend who was given a Mabé pearl ring as a birthday present – very impressive! 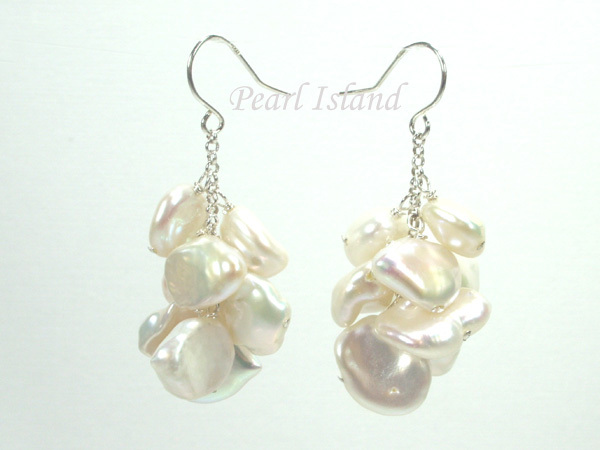 Then there are Blue pearls, Clam pearls, Conch pearls. Coin pearls, Potato pearls and Rice pearls are named for their shape: the list of different types of pearl goes on endlessly. 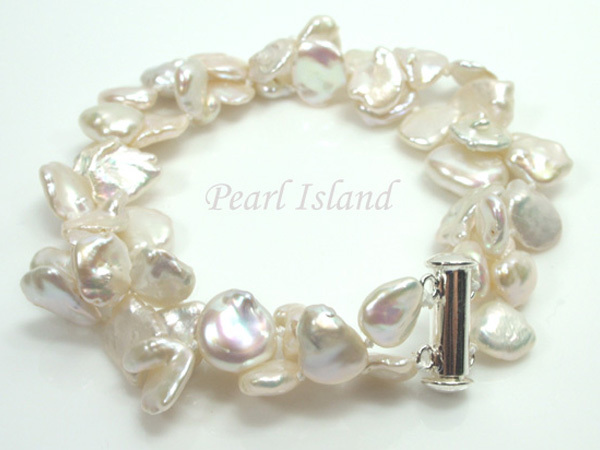 When I discovered freshwater pearls I was over the moon. My first purchases of freshwater pearls were necklaces of small, rice pearls that I made at the duty free shop in Manila airport. I thought I had gone to heaven! So where shall I start? I thought that Keshi pearls might be a good place – I love the fact that, in Japanese, the word “Keshi” (pronounced “kay-shee”) means “poppy” as these pearls, which are an accidental by-product of pearl culturing, were small, like poppy seeds, and were thought to be of less value as they were difficult to drill a hole into. 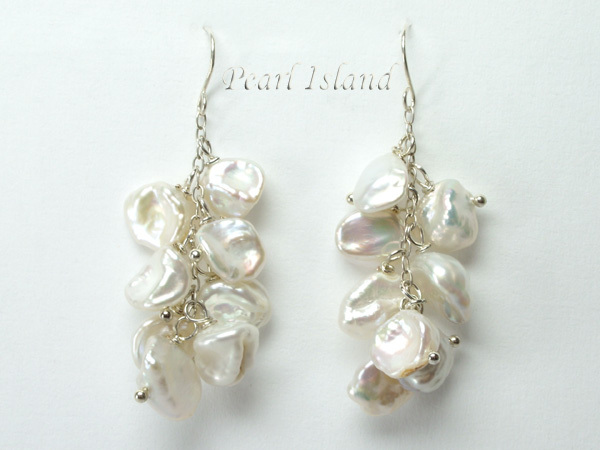 Keshi pearls form without a nucleus which the oyster rejects. Because they have no nucleus they are 100% nacre and have a very high lustre as a result. I have noticed, in my searches through photographs of Keshi pearls and in handling them that a flattened, almost petal-like shape is quite common and this gives unique opportunities to modern jewellery designers. Gone are the days when a pearl had to be perfectly spherical and perfectly white to be considered valuable. 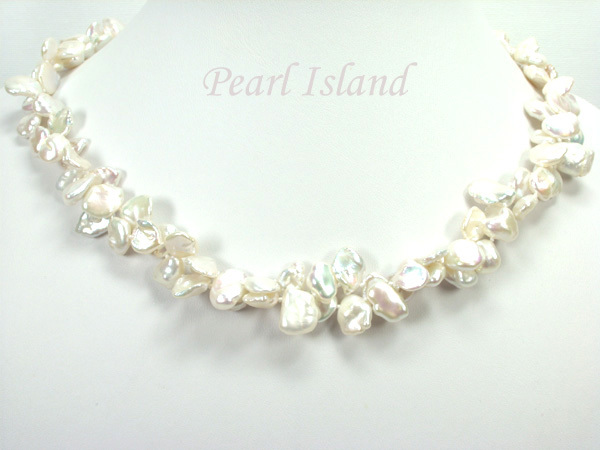 It is ironic to note that Keshi pearls are now becoming rare. Why? It is because pearl farmers now have the means of x-raying pearls to see if they have retained or expelled their nucleus. If they are found without a nucleus they have another nucleus inserted and the Keshi doesn’t form: what was once thought of little value is now a rarity! Of course, if you want a really expensive Keshi pearl you need to look for a South Sea Keshi. These are formed in the biggest of the pearl-producing oysters, the Pinctada Maxima oyster. This beauty is huge! It is the largest pearl oyster in the world and can grow up to twelve inches in diameter. It is the “mother of pearl” oyster and is valuable to producers of shell pearls (another type of pearl that I will write about in another blog). 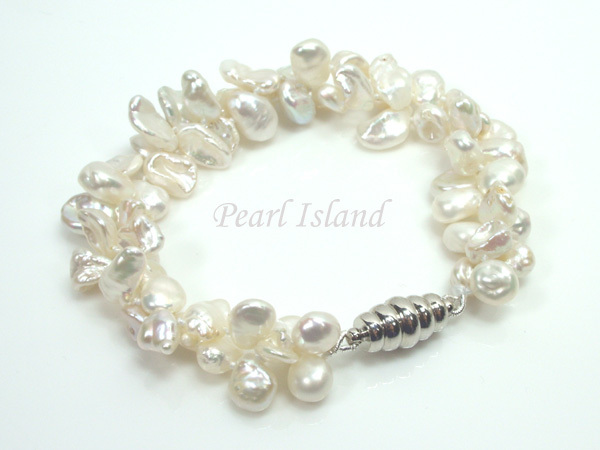 Big oysters produce big pearls, so the South Sea pearls are highly sought-after. 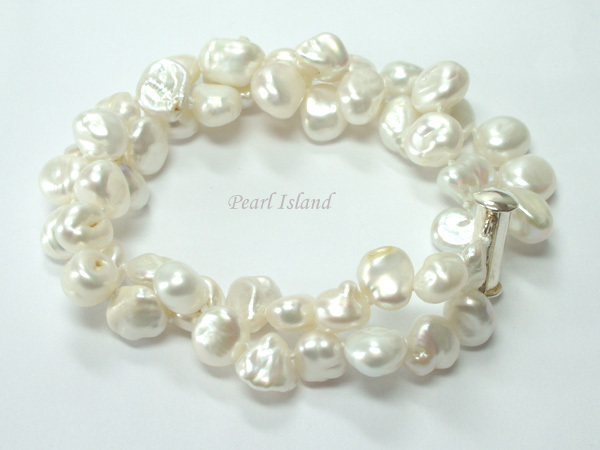 Keshi pearls are not classified as natural pearls as they are a by-product of culturing and don’t occur naturally, so they are a non-nucleated cultured pearl. Whatever their classification, they are beautiful, highly desirable and fashionable additions to anybody’s collection of fine jewellery.